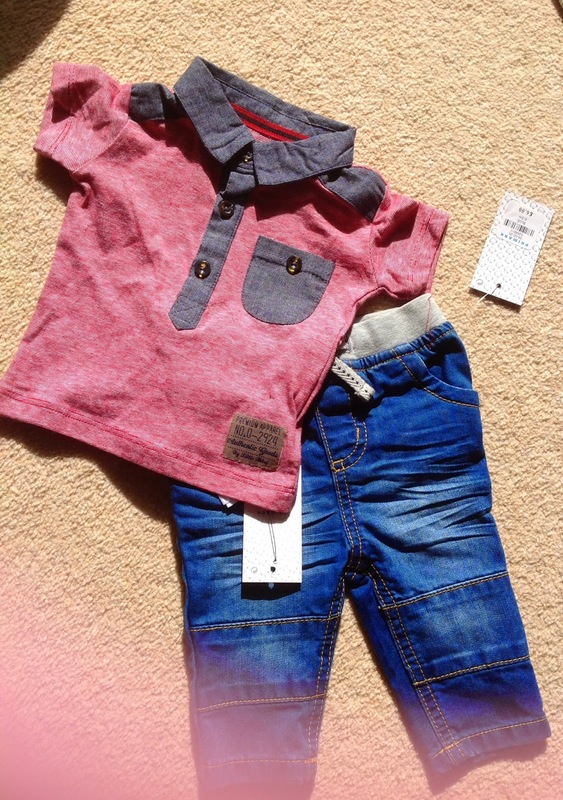 Yesterday I popped into Primark in Bournemouth and picked up a few baby boy clothing from the baby section. Here is my Haul below on what I purchased. I purchased this outfit which I thought looked smart. The T-shirt is red and white with a denim effect collar. This T-shirt cost only £3.00. This is the first pair of jeans we have got for him as not sure how comfy he will be in them. These feel soft and have an elastic waist so they should feel comfy hopefully for him. These costs £6.00. Both of these are in size 0-3 months. The next thing we picked up was this pair of T-shirts for only £3.50 for both. 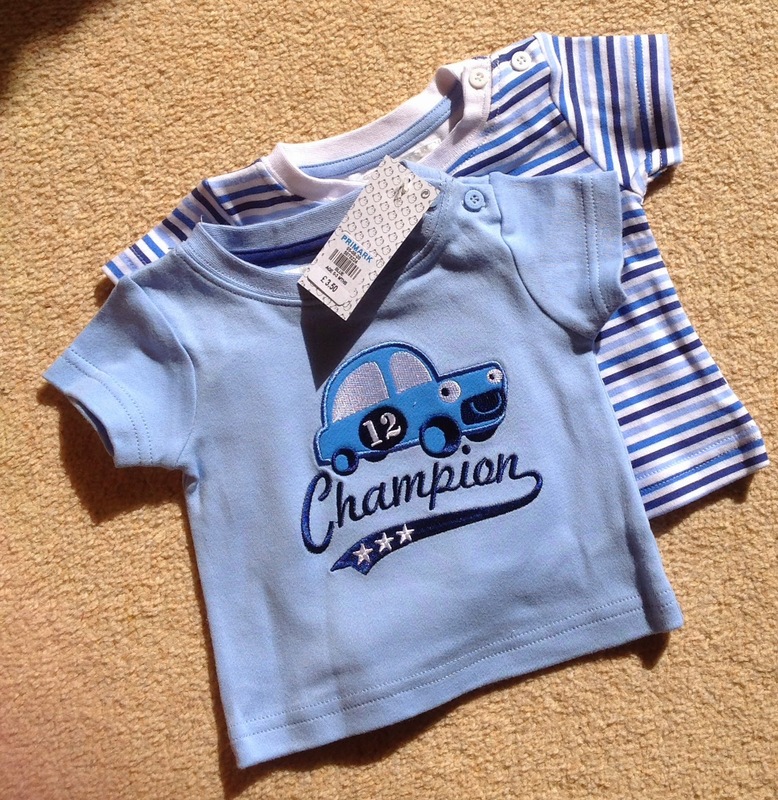 One has just got blue and white stripes on and the other as you can see has a car with Champion written on it (as my little boy will be a champion :-) These are in size 0-3 months. 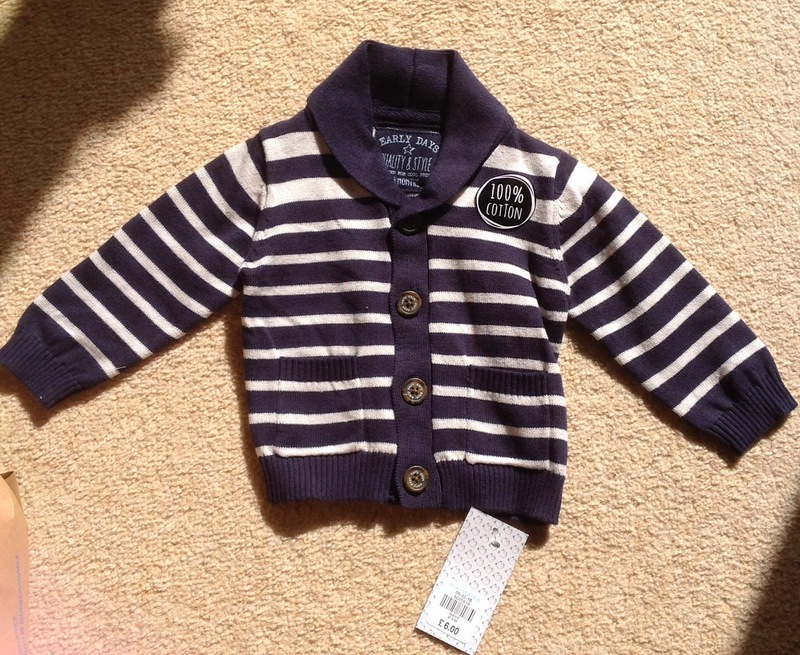 We picked up this smart cardigan which is navy and white stripes. 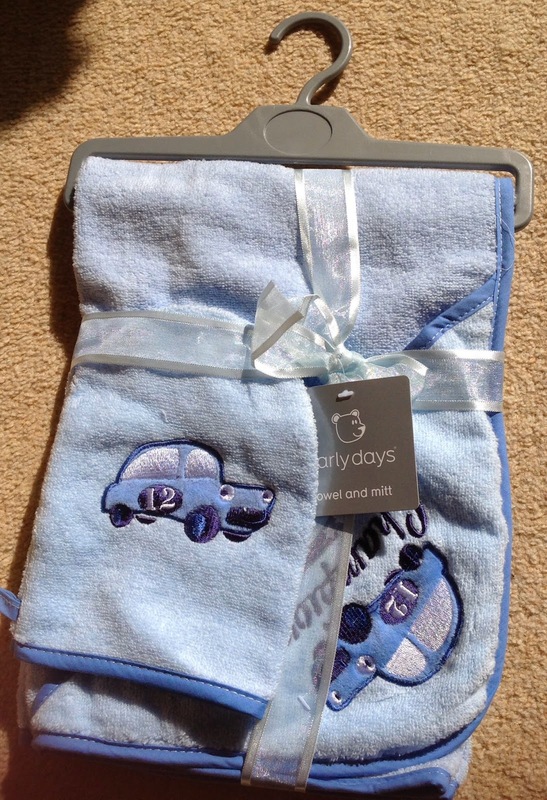 This is 100% cotton and cost £6.00. My boy is going to look so smart. This is also in size 0-3 months. I wanted to get a sun hat as he is due in June so this may be useful. 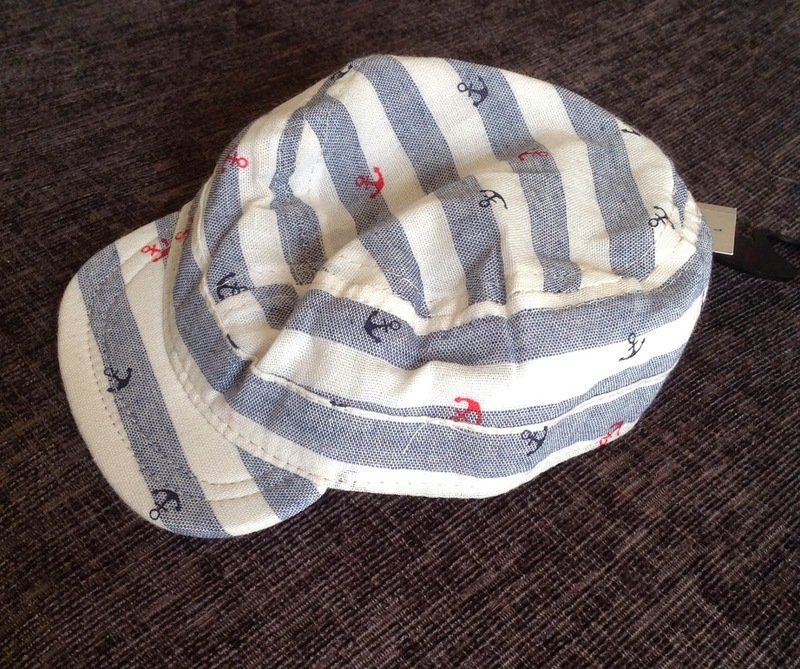 I seen this cute one for only £2.00 (Bargain) and its like a little sailor cap/hat and I think this will look dead cute on him. This is in size 0-6 months. The last thing we picked up was this Champion towel which matches his T-shirt above. We haven't yet got him any towels, this is the first one we have brought. It has a cute hood on it and also comes with a wash mitt. All for a price of £4.50. We have brought so many clothes for baby boy and also been given some second hand clothing for him. I may do another Baby Boy Haul at another point. I think Primark clothing is so cheap and still good quality compared to the other shops. 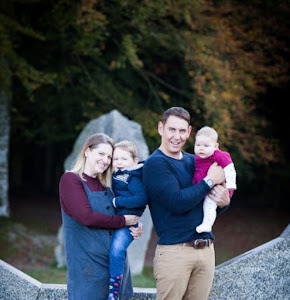 I have brought many vest and sleep suits from there as well and they are so cheap and they don't stay in the clothes that long as they grow so quickly so this is why I wont pay too much for clothes for him.